Experience some of the Outer Banks’ best live entertainment at The Comedy Club of the Outer Banks! Established in 1984, The Comedy Club of the Outer Banks has been providing fun and laughter from some of the nation’s best comedians. Most shows are rated PG16 and feature comedians who have appeared on shows like Comedy Central, David Letterman and The Late Show with Jimmy Fallon. 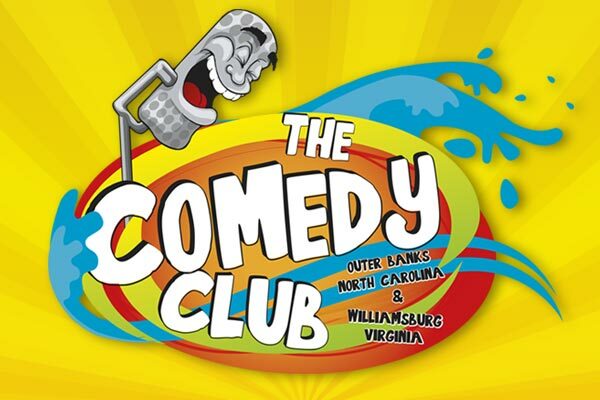 The Comedy Club of the Outer Banks is one of the longest running seasonal comedy club in the nation bringing some of the most talented stand-up comedians from all over the country, so it’s easy to see why they’ve become a summer staple for locals and visitors alike! Great date night or wonderful evening with friends and family!